Development Horizons by Lawrence Haddad: Narrowing the Gaps Take 2: Great for public investment, but what about private? Narrowing the Gaps Take 2: Great for public investment, but what about private? 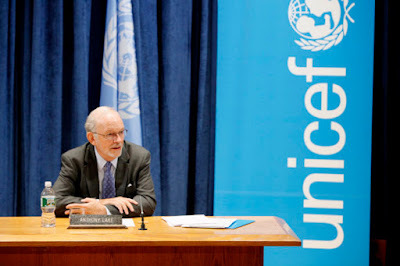 Back in 2010 I wrote a blog about UNICEF's efforts, under the leadership of Tony Lake, to resurrect equity as a prime issue in the child wellbeing debate. The blog was about UNICEF's Narrowing the Gaps work which showed that while it might be more costly to reach those most in deprivation with child interventions, the benefits of doing so ore than outweighed he incremental costs in terms of Benefit Cost Ratios and, in doing so, narrowed the gaps in outcomes between children in poor and non poor households. 1. The gaps in the coverage of programs (6 intervention packages, including neonatal and infant feeding and care) between poor and non poor groups has declined: 36% vs 59% in 2003 compared to 50% versus 65% in 2016. The bad news for nutrition is that early initiation of breastfeeding showed the slowest rate of increase in coverage--for both income groups. 2. The reduction in under 5 mortality was nearly 3 times as fast in poor groups as in non poor groups. 3. For those only moved by cold hard economic facts, the important news is that the benefit cost ratios are 1.8 times higher for those in poor groups compared to the non poor. For every $1m invested in increasing the coverage of these 6 interventions, 166 deaths are averted in the poor group versus 92 deaths averted int he non poor group. This is not terribly surprising--the response should be greatest for those most in need--but the relatively high cost of reaching the poor often preempts these kinds of returns. So we have the great position of reducing inequality--an important goal per se--and generating the highest returns in doing so. Win-wins don't get much more satisfying than this. For commercial interventions in the food marketplace, however, the arithmetic is not quite so comforting. We at GAIN are working on demand side interventions for healthy foods that bring the best of public and private approaches to the table. But businesses tell us they not able to make these approaches work for those in the very poorest households. Those living on less than $3 a day don't--at the moment--seem to provide businesses with enough purchasing power to de-risk their investments. This is why interventions such as public cash transfer schemes are so valuable--they enable the consumption of healthier but more expensive foods (although they also enable the consumption of less healthy food). For those living on more than $3 a day (and this threshold is a guess--we need some serious research on what it is for different contexts), commercial solutions to improve the consumption of nutritious foods are more possible. Can demand creation targeted to those above $3 a day work? And can it help those below $3 a day by creating an aspiration for healthier food? These some of the challenges we have set ourselves at GAIN because most people buy food via markets. We need to be able to draw on some serious research about what is the limiting factor stopping different income groups in different contexts from purchasing nutritious food: income, physical availability, affordability, or desirability. The UNICEF work provides a convincing rationale for public sector interventions to be more equity enhancing. Can it provide some inspiration for businesses to develop nutritious but loss leading food brands to inspire customer loyalty in preparation for the time when their incomes grow? Working with our partners, we will keep exploring this space at GAIN. We want nutritious foods to be available, affordable and consumed by all income groups--especially by those who are most malnourished.